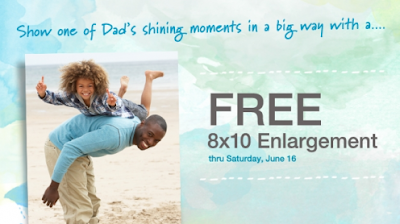 Walgreens Photo is offering a Free 8x10" print today! Just make your print and add it to your cart, then use promo code PRINT8X10 at checkout. Make sure you choose the have is sent to your local store to avoid shipping and get it completely Free! This code is valid until June 16th, so make sure you order yours by then.